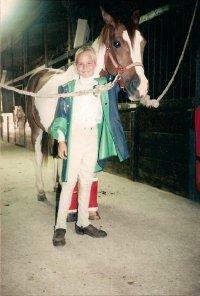 Shana's love for horses began at the age of 8, when she learned to ride her first pony "Little Rascal". 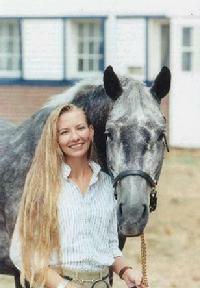 She was born and raised in Eastlake, Ohio and began riding at Brick Hill Farms with Grand Prix rider Kathy Chennell as her trainer. As a junior she was a regular competitor in the hunter and equitation divisions, winning numerous championships in Ohio, Pennsylvania, Kentucky, Michigan and Florida. Shana then turned her focus towards college and attended the University of Miami in Florida where she graduated with a degree in International Finance and Marketing. Upon returning from college, Shana began working for the family business, an aerospace company, as Controller and C.F.O. True Blue Farm was started in 2005 in Chardon, Ohio and relocated to Sarasota, Florida in 2009. Shana's main goal is to help teach the importance of responsibility and determination, while still having fun!